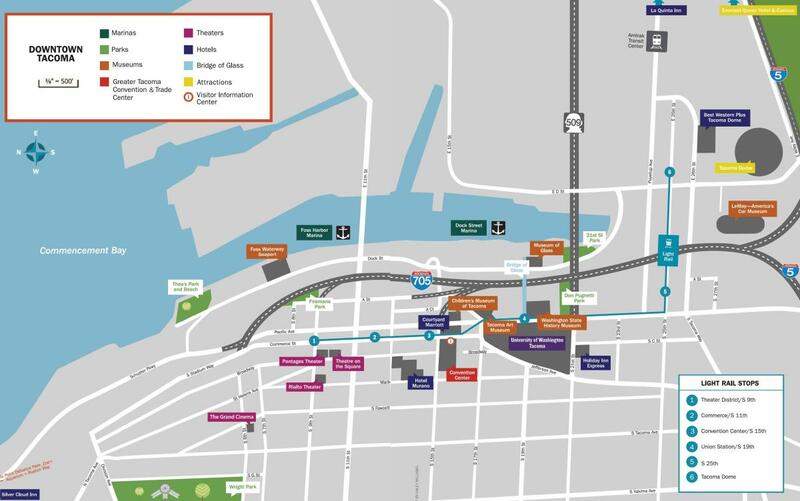 Getting around downtown Tacoma is free and easy with the Tacoma Link Light Rail. 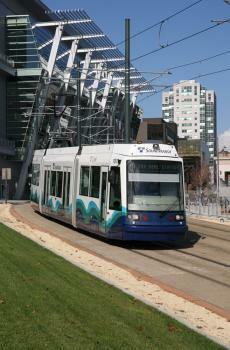 The Tacoma Link Light Rail provides complimentary service from one end of downtown to the other. Hop on to ride between the six stops at: the Tacoma Dome, South 25th Street, Union Station, the Convention Center, South 11th Street and the Theater District. The Link Light Rail operates 365 days-a-year. Parking is free in the six-story Link garage located next to the Tacoma Dome Station. The Link travels between ends approximately every 12 minutes. Check the schedule for train frequency. Mondays through Fridays: 5 a.m. to 10 p.m.
Sundays and Holidays: 10 a.m. to 6 p.m.